From the classic Star Trek: The Original Series episode, "Mirror, Mirror" comes the alternate universe Spock! You can tell he's from an alternate universe because of the facial hair. That, and the uniform with the sash. And that haircut! Oh, wait... same haircut. But that beard! 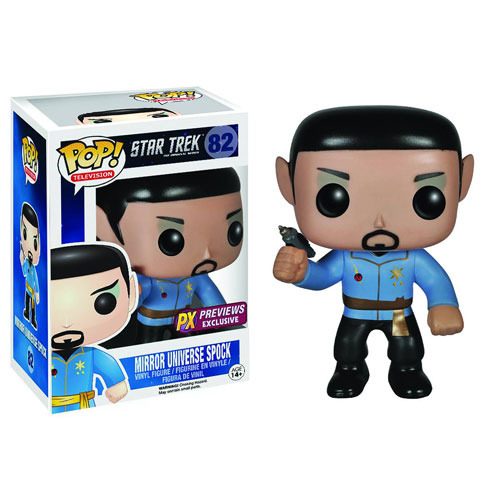 This Previews Exclusive Mirror, Mirror Spock stands 3 3/4-inches tall in window box packaging. Ages 14 and up.